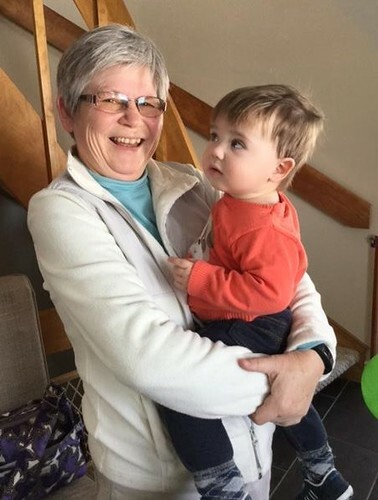 Our special valentine, grandson Rowan, who is one year old today. 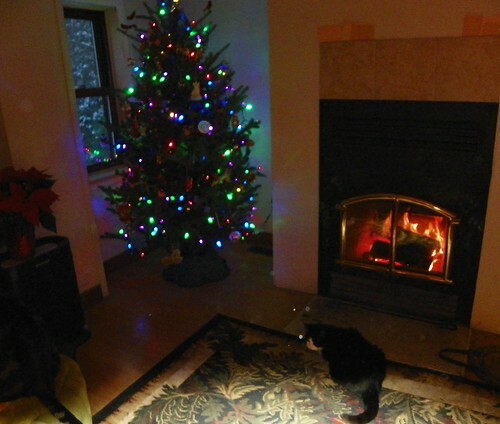 Warm winter wishes and a Merry Christmas from Willow House. 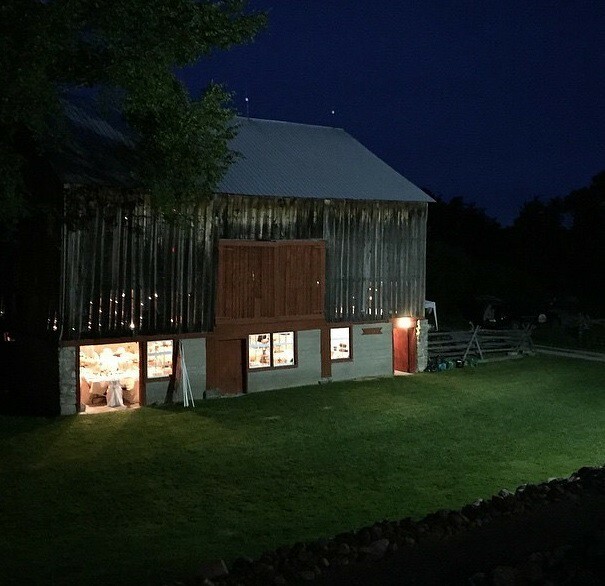 When working around the barn recently, I noticed a white patch of…something. 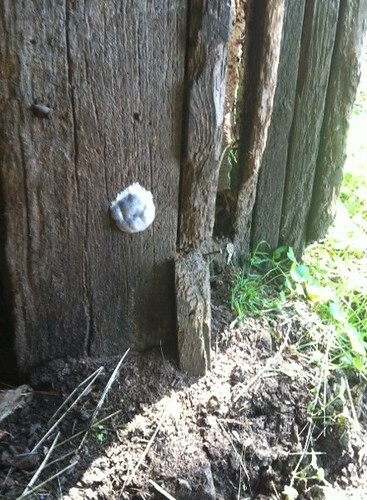 When I bent down to take a closer look, I found that it was a sort of crusty white pocket, with something black within. I wondered if it might be some sort of egg sack, but upon further investigation, I learned that it was a slime mould, Mucilago crustacea. Or more specifically, this was the fruit body, or aethalium, of M. crustacea. Slime moulds are composed mostly of a mass of slimy protoplasm that spend most of their lives hidden away inside well-rotted logs or leaf litter. When it is time to fruit, they migrate to a more advantageous location for spore dispersal, and may travel several feet or climb walls or trees. 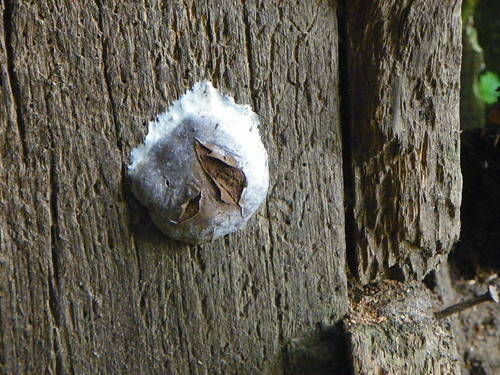 The fruitbody of M. crustacea has an outside wall of a chalky material that gives it a crusty texture. The spore-mass within is black. 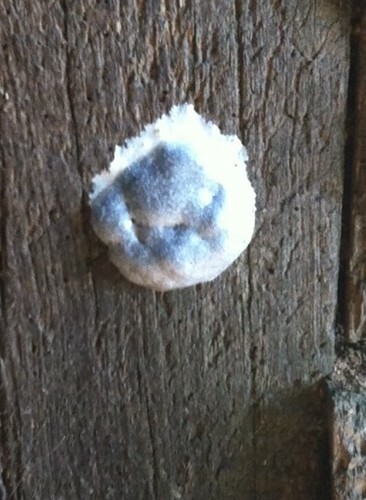 After a few days, I noticed that the crusty surface had cracked, releasing the powdery dark spores. Many mushrooms are hard for the casual amateur to identify, even with a guide book, but a helpful source is George Barron’s Mushrooms of Ontario and Eastern Canada. Quite highly recommended. 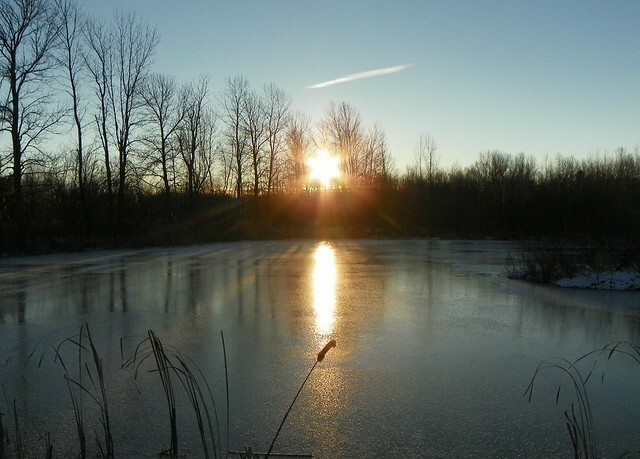 December Solstice (Winter Solstice) is on Monday, December 21, 2015 at 11:49 PM in Ottawa. That’s less than an hour away as I write this. Hurray! Turn-Around Day, when we begin the slow but inexorable march to spring. Today was 6 hours and 58 minutes shorter than the day at June solstice. Tomorrow will be less than a second longer. The next day, 4 seconds longer, as we move towards the light! Last winter was long, snowy, and bitterly cold. By November 22, we already had a few inches of snow on the ground. So far this year, winter has hardly begun. We have enjoyed an extended fall season of mild temperatures and only a little dusting of snow a few days ago, which quickly melted away. Right now, it is 4 degrees C (40 F) and a light rain is falling. No matter what January and February have to offer, we have been spared a month of harsh weather and the winter will be shorter. 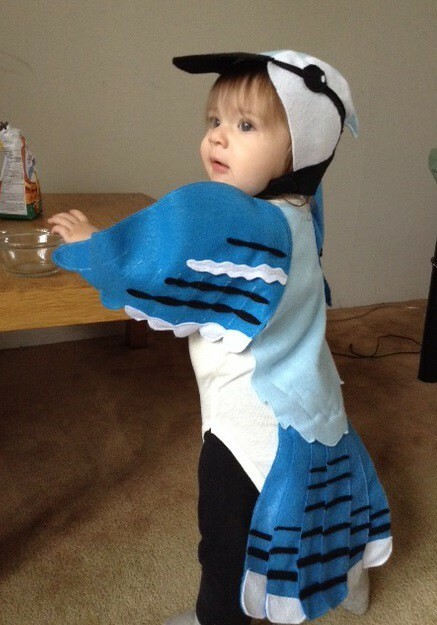 Here’s granddaughter Coralie, just approaching her first birthday, and ready for her first Halloween. 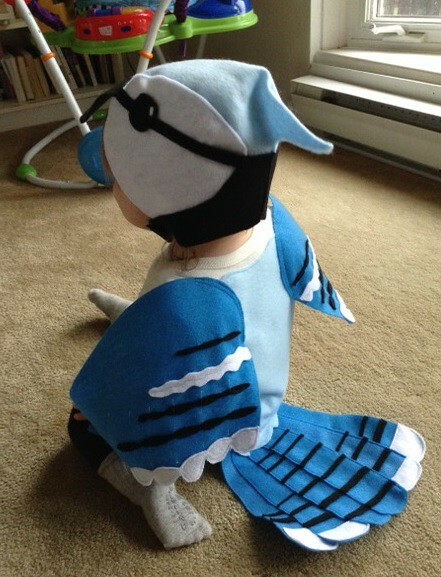 Her beautiful blue jay costume was sewn for her by her doting Mom. 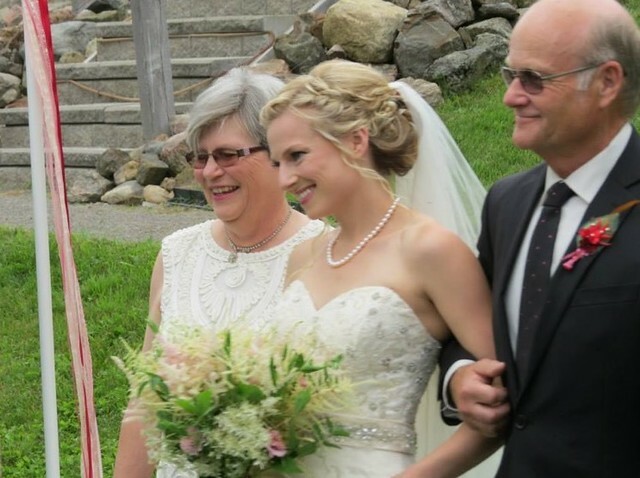 Last weekend, we celebrated a very special event as Ponygirl, our middle daughter, was married. 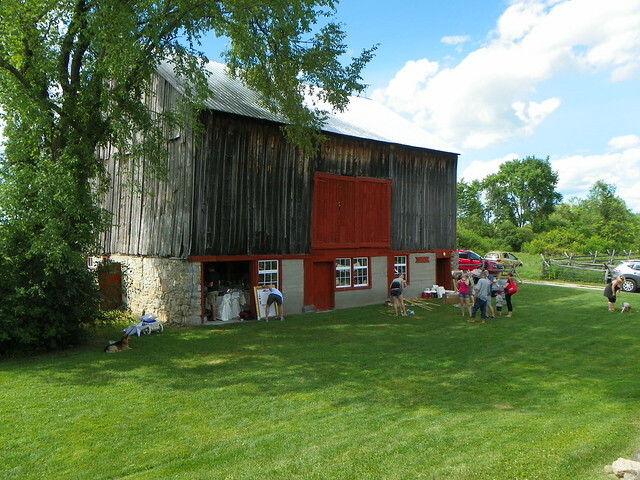 The wedding took place at Ecotay, near Perth, Ontario, a rural venue featuring several barns in a pastoral setting. 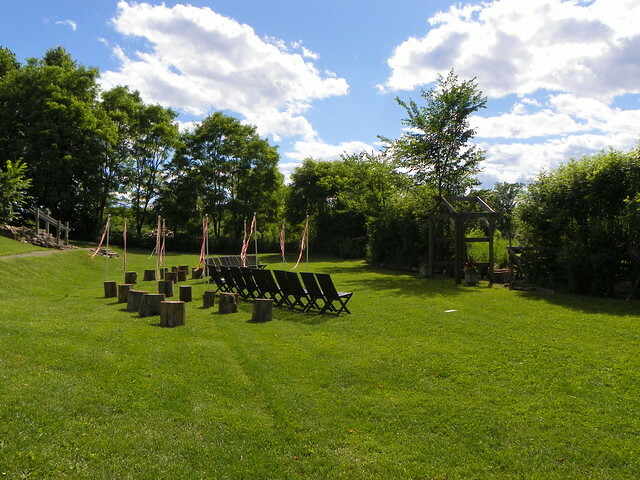 We were blessed with a beautiful day, and after months of planning and work, everything came together with nary a hitch. Many hands helped to prepare the site on Friday. Here’s the dining room, with chargers laid out to protect plates for the night. 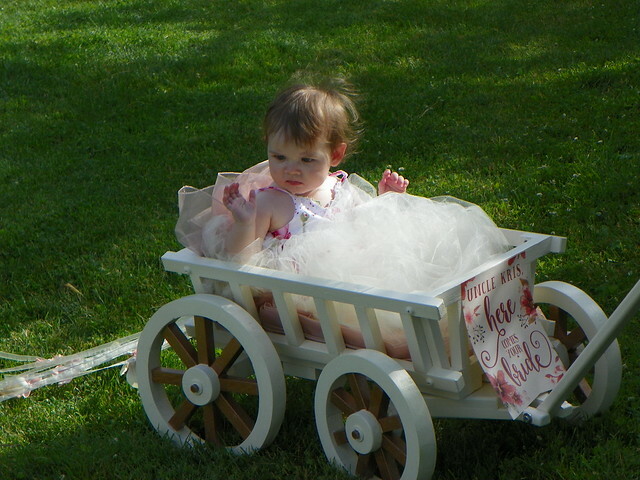 Seven-month-old flowergirl Coralie made a practice run in the rehearsal. 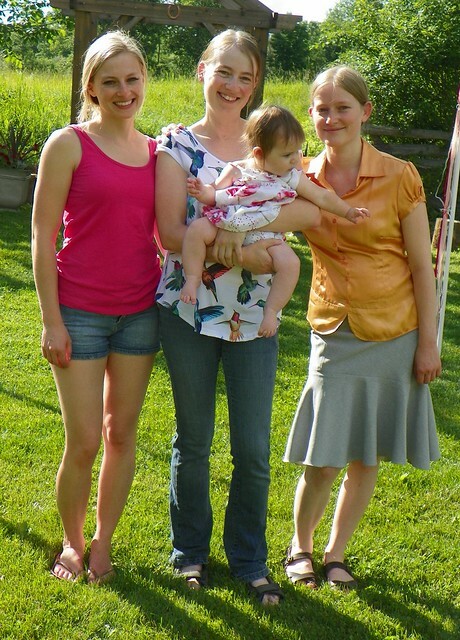 The bride-to-be posed with her older and younger sisters, and niece Coralie. 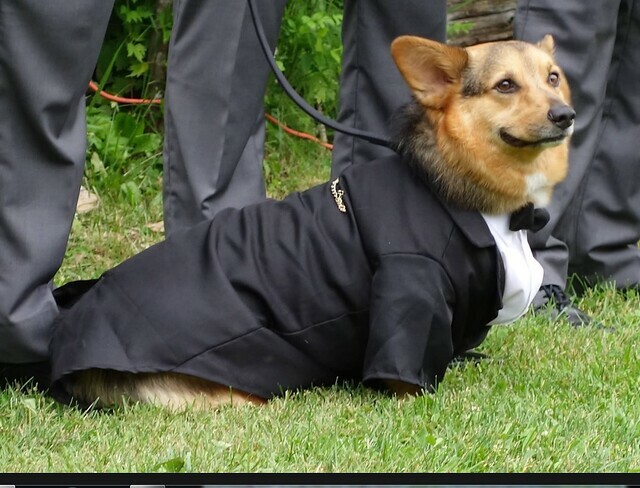 Finally, the big day arrived. 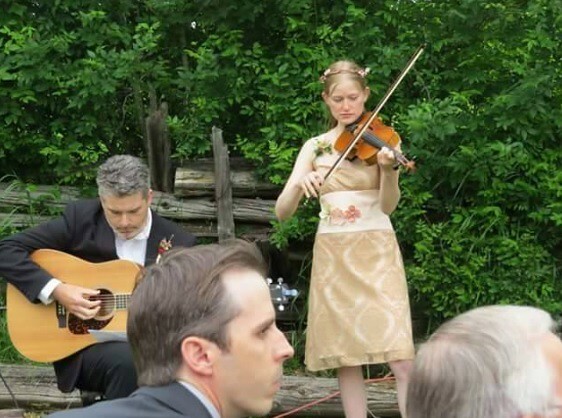 Fiddlegirl provides the musical accompaniment. 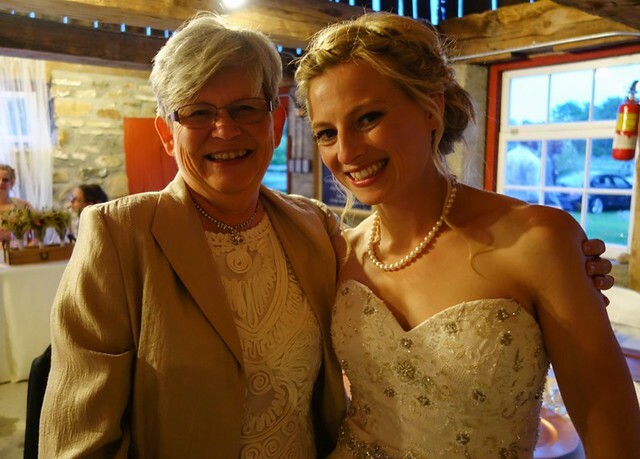 Here I am with the bride during the dinner hour. Dinner was followed by dancing. 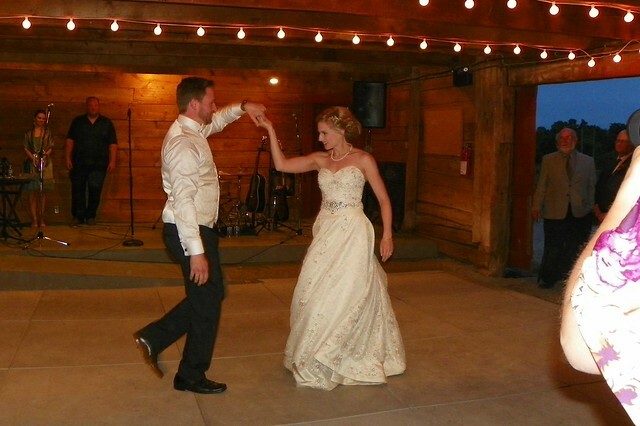 The bride and groom danced to ‘Toothpaste Kisses’ by The Maccabees. 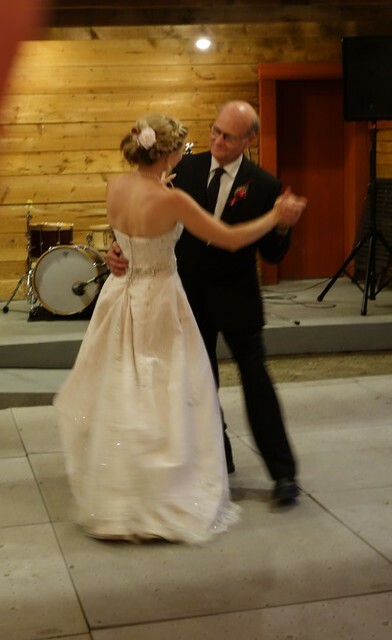 Father and daughter danced to ‘Turn Around’ by the Kingston Trio. 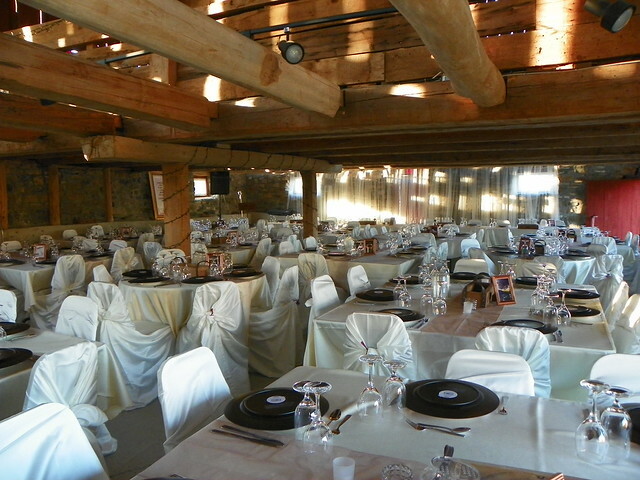 Afterwards, a live band took the stage and the guests danced the evening away. 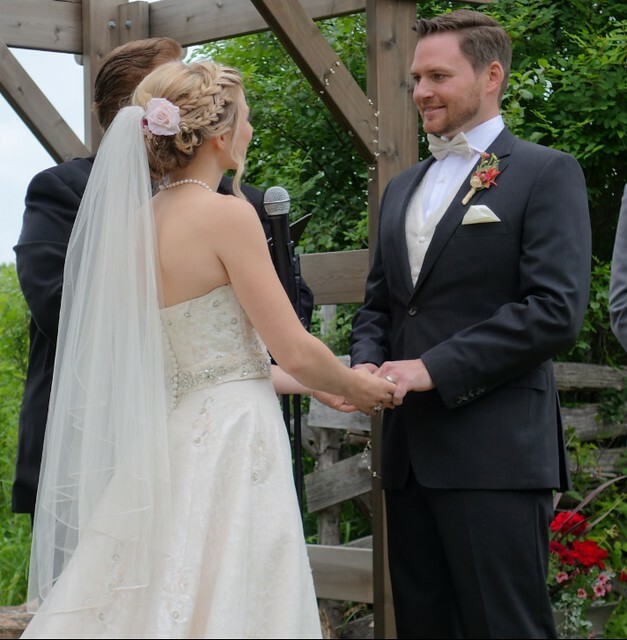 Congratulations and best wishes to Gaelan and Kris. 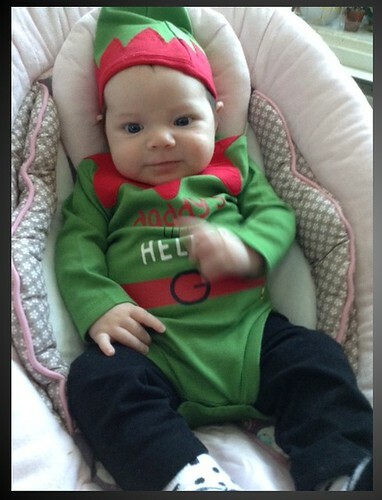 Here’s our new little elf, Coralie Robyn, born November 15, 2014, and already weighing in at over 12 pounds. Happy Christmas to you and yours. May your Christmas be merry and bright!